What I grew up knowing as, “living off the land”. A recent cooking show I watched featured two chef’s competing against each other with foraged ingredients. I found myself poking around the internet for Rose hip recipes, so much more than teas and jellies. Shhh, don’t tell my family they have eaten Nettles this Summer. I seem to have a bumper crop of those tasty weeds! Rose hips aren’t quite ripe yet. If foraging grows popular, I hope they give guidelines for foraging – always leave enough to replenish the supply. Indiscriminate foraging in the past caused extinctions of many plants (and animals) in many areas. Ginseng is one example. Wild food is fun to gather and gets us out in the woods and fields. My son gathers mushrooms, which always makes me nervous (!) but chicken-of-the-woods and puffballs are easy to identify and are tasty. Ramps, a wild allium, found in the spring are a treat around here and folks jealously guard their ‘secret’ patches! People around here keep the wild asparagus areas top secret! I think the wild Ginseng was wiped out around here also. When I was in college, several people I knew hunted it and sold it for tuition money! 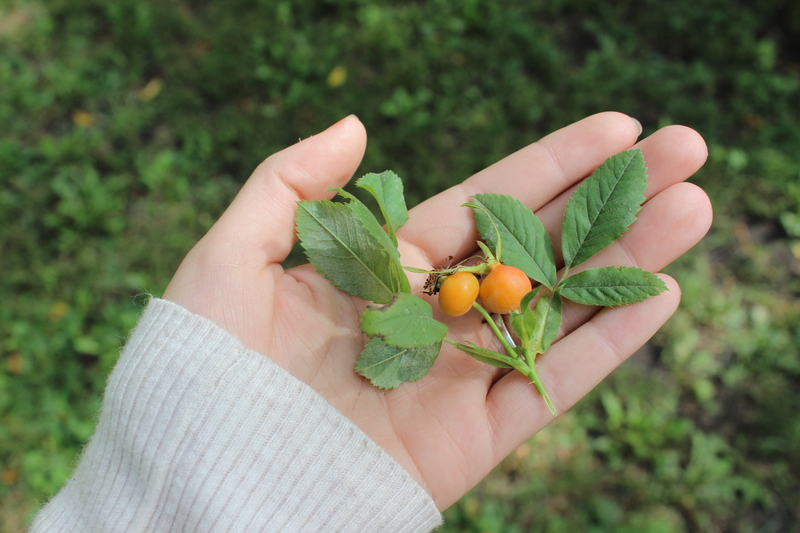 I’m excited to try a few things when the rose hips are ready in a few weeks. Let me know what you do with yours! A lot of big cities hand out maps where you can find edible plants and fruit trees where you can harvest from for free…what an excellent idea. I love foraging, used to do it more when the kids were small, such a nice way to teach them more about Mother Nature. Lovely post!